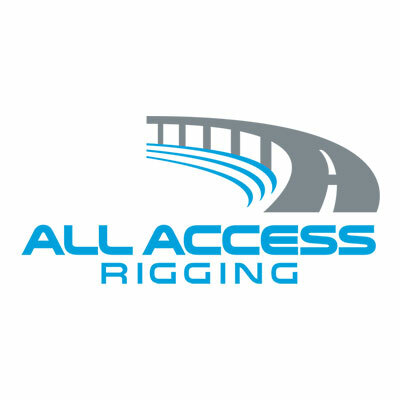 At All Access Rigging, we use innovative bridge inspecting and rigging technology to ensure the highest quality of work with safety in mind. Whether our clients choose the uncompromised and versatile maneuverability of the Aspen A-62, or the durable, multi-functional design of the light-weight Aspen B-32, the demands of even the most arduous bridge projects can be surpassed. The Aspen A-62 offers durable simplicity and reliability in a variety of conditions. 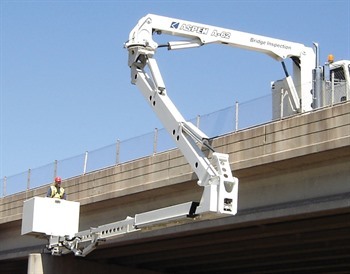 This unit has multiple articulating and telescopic booms, an automatic leveling platform, and the ability to maneuver around and under some of the widest bridges. These booms are ideal for acces and the intricate processes of bridge repair and inspection. With 180° rotating platform and a 62 ft horizontal reach, as well as an 11 ft clearance over obstacles, the A-62 is capable of handling all points of access for any bridge project. The Aspen B-32 is the most lightweight machine available (weighing under 26,000 GVW) and has a 32 ft horizontal reach, as well as a 34 ft vertical reach, which is convenient for vehicle truss inspection (CDL is not required). With three articulating booms, it controls easily at the turret and has a 13 ft clearance over obstacles. The B-32 is a unit that is able to perform a variety of tasks in tight areas, or for strenuous slopes. Our entire fleet is routinely maintained and tested by our experienced operators and is inspected anually by Aspen. 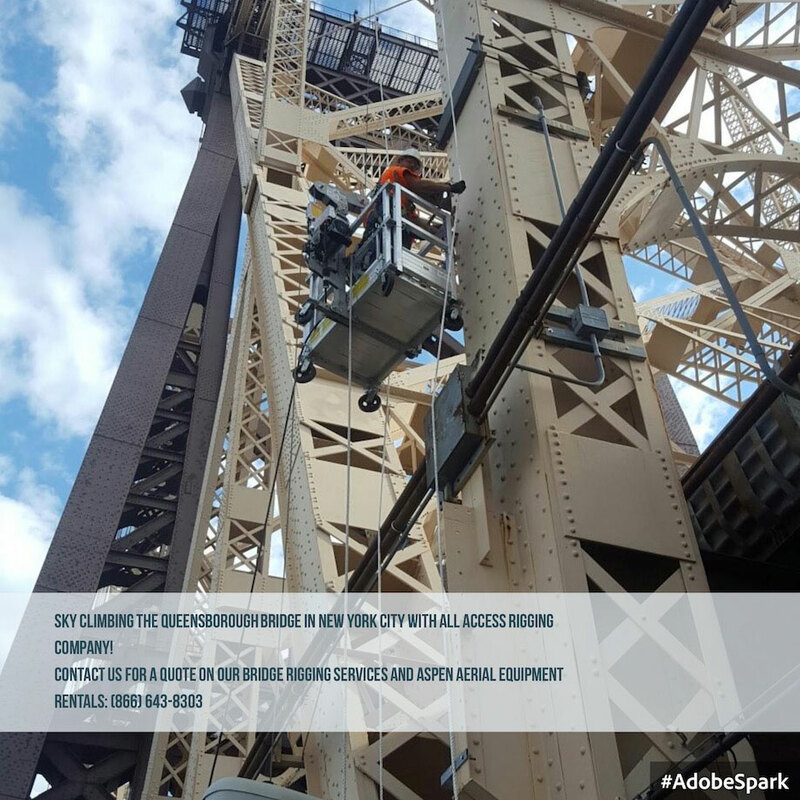 When it comes to bridge access rigging and service, there is no better and safer equipment than Aspen Aerials.